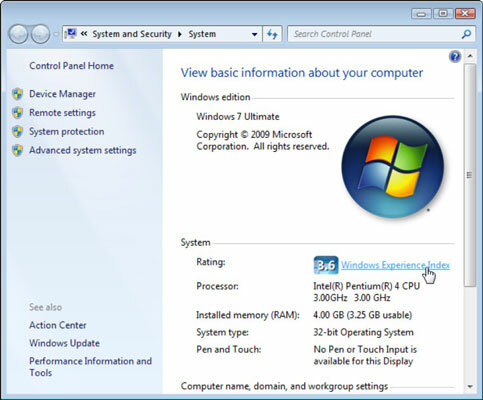 If your computer’s able to run Windows 7 with its 3-D graphics and transparent windows, then your computer can probably stand up to the rigors of video editing. 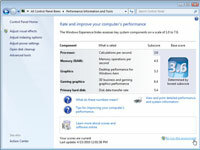 Still, you can speed things up and make your work easier by upgrading a few key areas of your computer. First, you need to figure out what your computer has and what it needs. 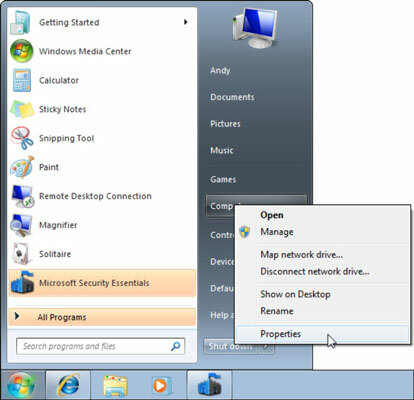 1Click the Start menu, right-clicking Computer, and choosing Properties from the pop-up menu that appears. 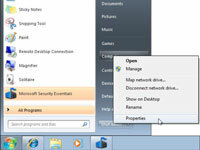 The Windows Experience Index dialog box opens. 2Click the words Windows Experience Index. 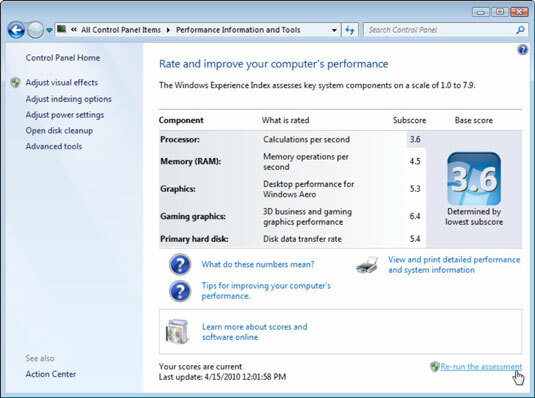 Meant as an easy way for showroom shoppers to assess a computer’s strengths and weaknesses, the index tests your computer, and then rates its strengths on a scale of 1 to 5.9. 3If you’ve upgraded your computer lately, click Rerun the Assessment. 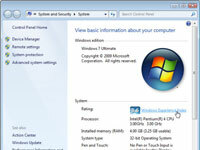 Windows 7 will reassess your computer’s performance and update the scores. 4Look at the overall performance index — the large numbers in the square box. If your computer’s rated 3 or below, it can probably play some high-definition video, but might have problems editing it. Consider this a warning flag. 5Check the score for your computer’s processor, also known as its CPU. If it’s rated 4 or 5, you can edit most video without problems. But to edit high-definition video without problems, you’ll want a processor rated at least 6 or 7. Unfortunately, it’s usually cheaper to buy a new computer than upgrade your computer’s processor or motherboard. 6Look for your lowest score in any of the five categories. 7Upgrade the part or parts with the lowest score first. For example, consider getting two hard drives: One drive stores Windows 7, of course, as well as your photo-editing program. Then add a second drive to store your edited video, which grabs a massive amount of hard drive space. 8Get some video editing software. Microsoft’s free Windows Live Movie Maker program works for editing small movies. For more creative control, Sony’s Vegas Movie Studio software has a popular following. You may also find a deal on Adobe Premiere Elements, which often comes bundled with Photoshop Elements in special deals online or at discount stores.